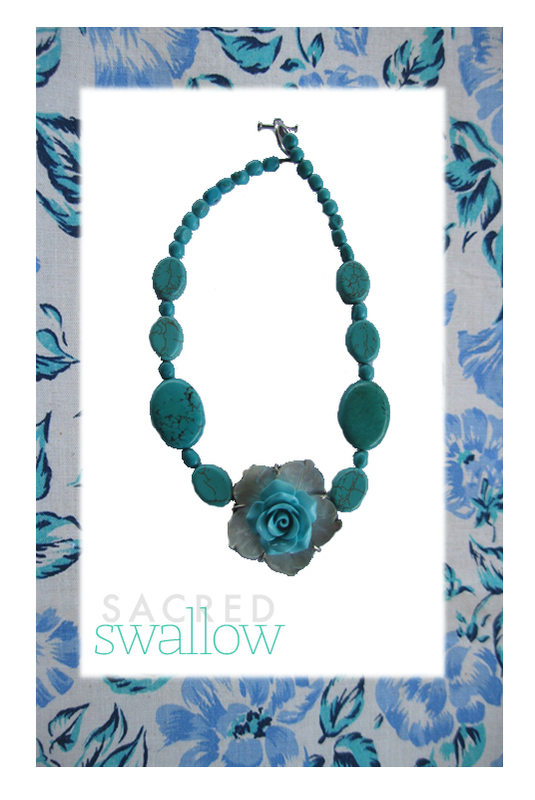 Another Frida Kahlo inspired necklace…. 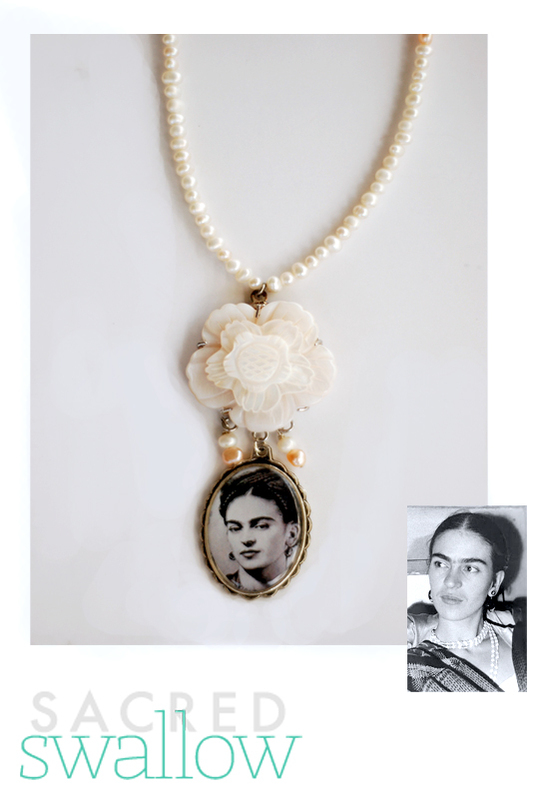 This pendant shows Salma Hayek , the most famous actress that played Frida Khalo in the movie Frida (2002). It is set on fresh water pearls and a New Zealand Paua shell flower pendant. As the pearl has become a metaphor for something very rare, fine, admirable, and valuable- it seems fitting that Frida should be surrounded by them.